The extraordinary letters (translated from the german by Jane Bannard Greene), show to what degree the eye of one artist can penetrate to the essence of another art. 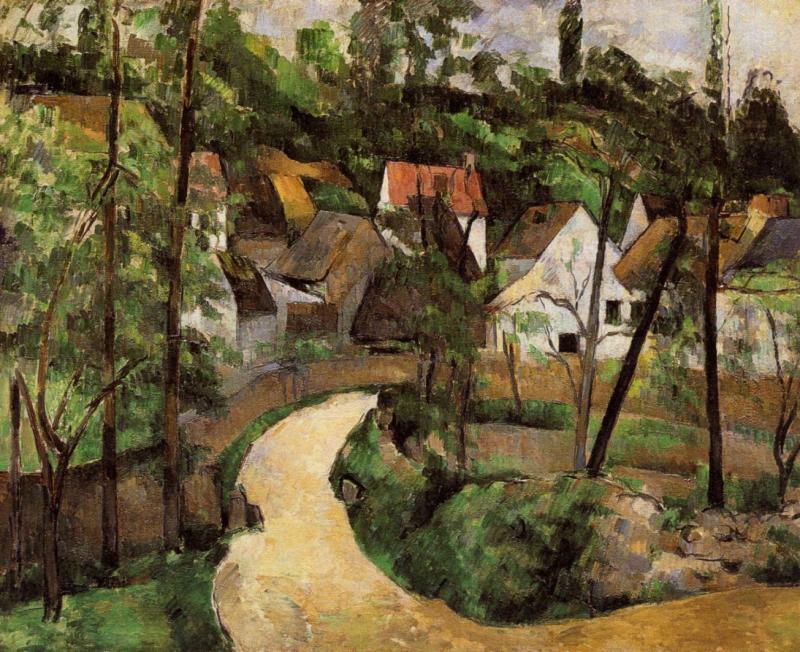 The most distinguished of modern German poets, Rainer Maria Rilke, was born when Paul Cézanne had already been painting nearly a decade. 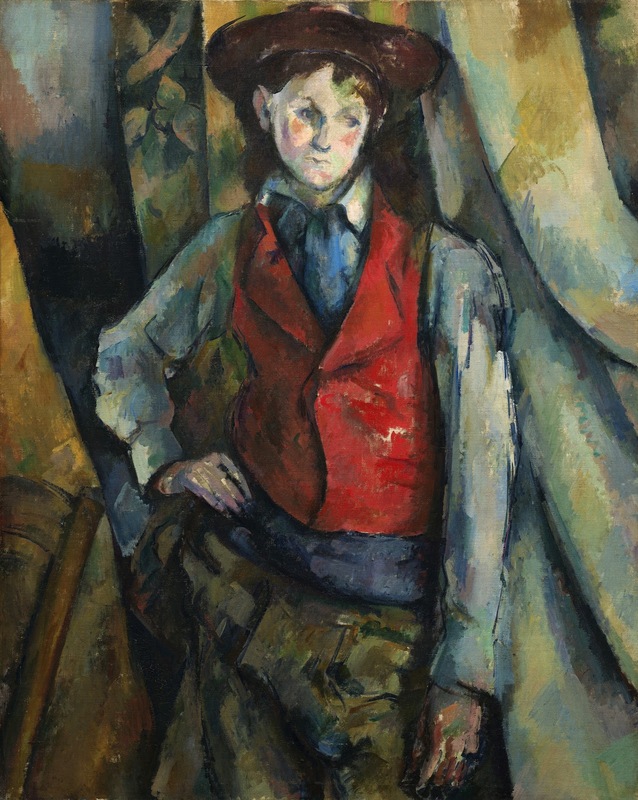 It was more than thirty years later that he encountered Cézanne in the memorial retrospective held at the Salon d'Automne in Paris in 1907, the year after the painter's death. 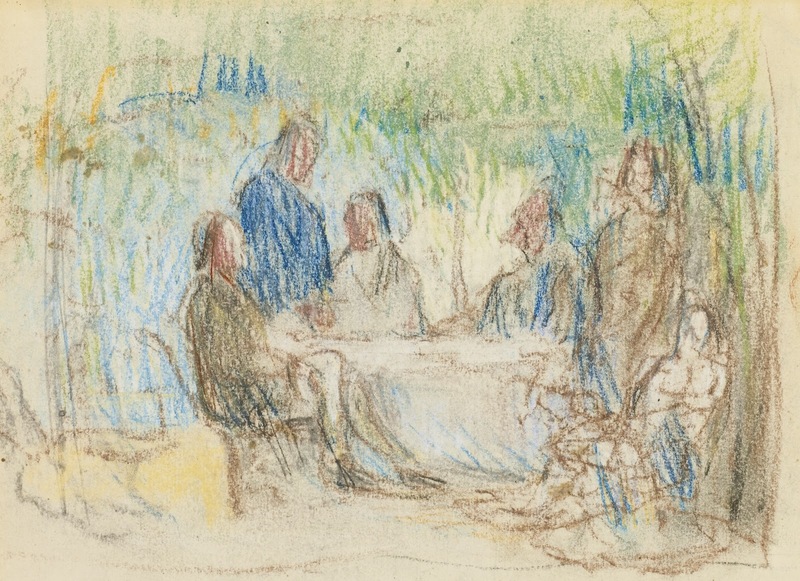 Rilke was himself a mature artist with several volumes already published. Yet another distinguished poet, Gerard Manley Hopkins, had already given a name to the unique pattern that distinguishes each art-music, poetry, painting - its' "inscape". Hopkins's idea was that a poem's sound is as integral to its sense as a painting's color to its design or music's melody to its form. 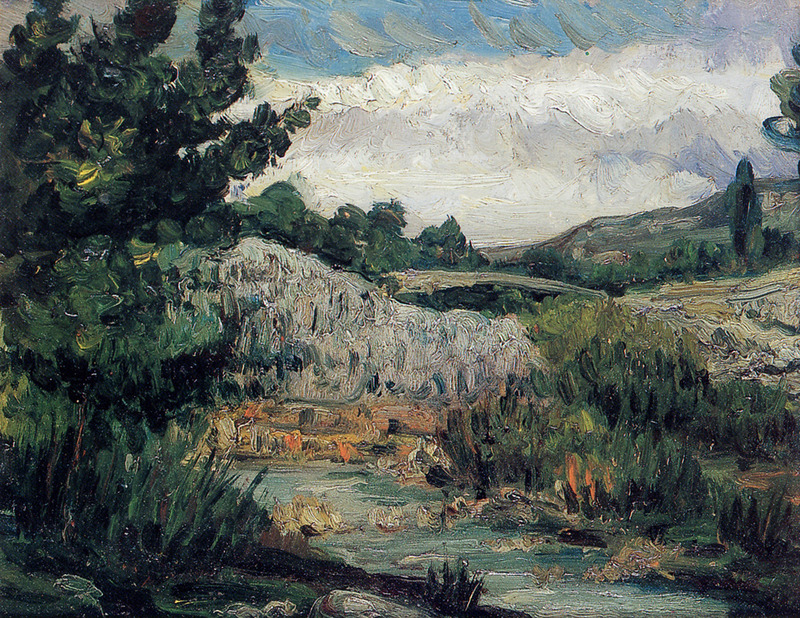 For Cézanne, who gave landscape a new meaning in painting, the verbal play of "inscape" seems especially apt; it also defines Rilke's winged empathy with the other arts. 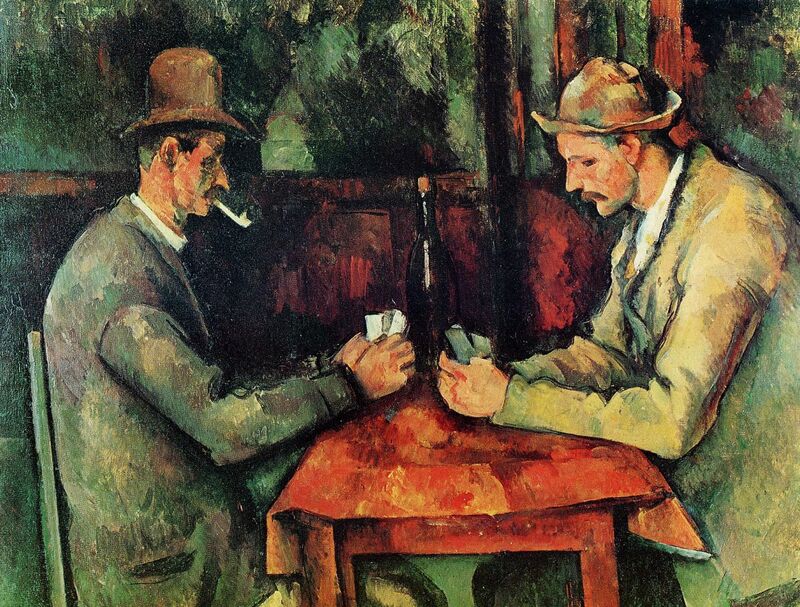 ... Today I wanted to tell you a little about Cézanne. Insofar as work was concerned, he maintained that he had lived like a Bohemian until his fortieth year. 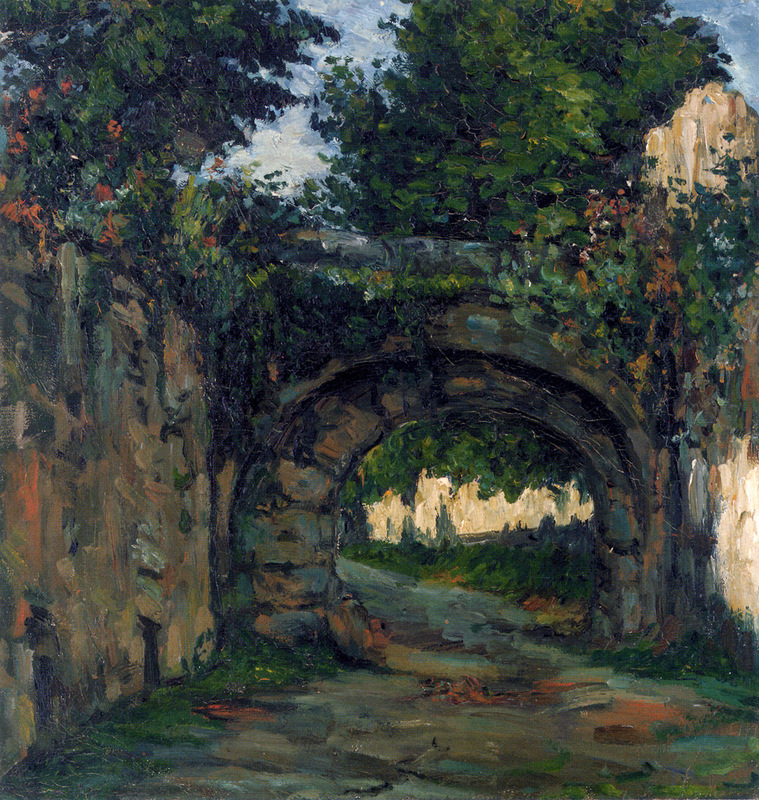 Only then, in his acquaintance with Pissarro, did the taste for work open up to him. But then so much so, that he did nothing but work for the thirty latter years of his life. Without joy really it seems, in continual fury, at variance with every single one of his works, none of which seemed to him to attain what he considered the most indispensable thing. "La realisation", he called it, and he found it in the Venetians whom he used to see and see again in the Louvre and had unconditionally acknowledged. The convincing quality, the becoming a thing, the reality heightened into the indestructible through his own experience of the object, it was that which seemed to him the aim of his innermost work; old, sick, every evening exhausted to the point of faintness by the regular daily work (so much so that he would often'go to bed at six, as it was growing dark, after an insensibly eaten supper); ill tempered, distrustful, laughed at every time oil the way to his studio, jeered at, mistreated, -but observing Sunday, hearing Mass and vespers like a child, and very politely asking his housekeeper, Madame Bremond, for somewhat better fare-: he still hoped from day to day, perhaps, to reach the successful achievement he felt to be the only essential thing. In so doing (if one may believe the reporter of all these facts, a not very congenial painter who went along for a while with everybody), he had increased the difficulty of his work in the most obstinate way. 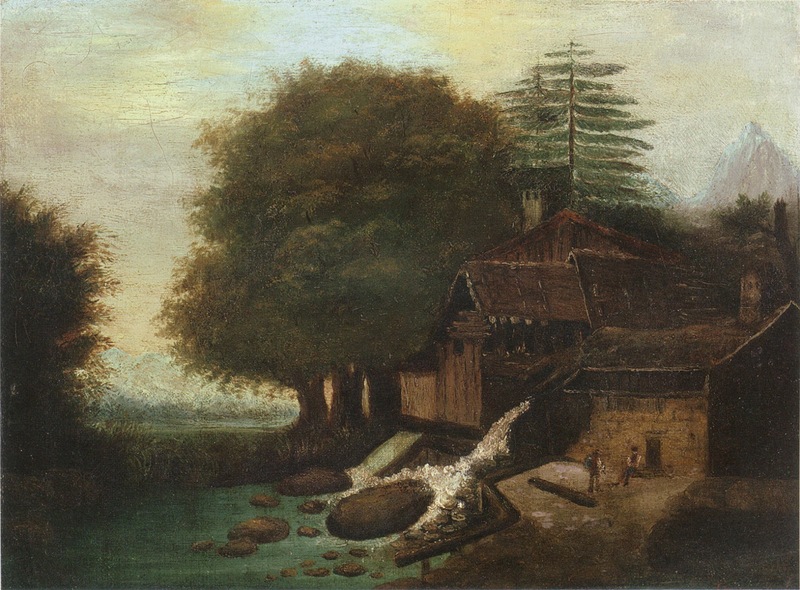 In the case of landscapes or still-life, conscientiously persevering before the subject, he nevertheless made it his own by extremely complicated detours. Starting with the darkest coloring, he covered its depth with a layer of color which he carried a little beyond that and so on and on, extending color upon color, he gradually came to another contrasting pictorial element, with which he then proceeded similarly from a new center. I think that in his case the two procedures, of the observant and sure taking over and of the appropriation and personal use of what he took over, strove against each other, perhaps as a result of becoming conscious; that they began to speak at the same time, as it were, interrupted each other continually, constantly fell out. And the old man bore their dissension, ran up and down in his studio, which had bad light because the builder didn't deem it necessary to listen to the eccentric old man, whom they had agreed not to take seriously in Aix. He walked back and forth in his studio, where the green apples lay about, or in despair seated himself in the garden and sat. And before him lay the little city, unsuspecting, with its cathedral; the city for respectable and modest citizens, while he, as his father, who was a hatmaker, had foreseen, had become different; a Bohemian, as his father saw it and as he himself believed. 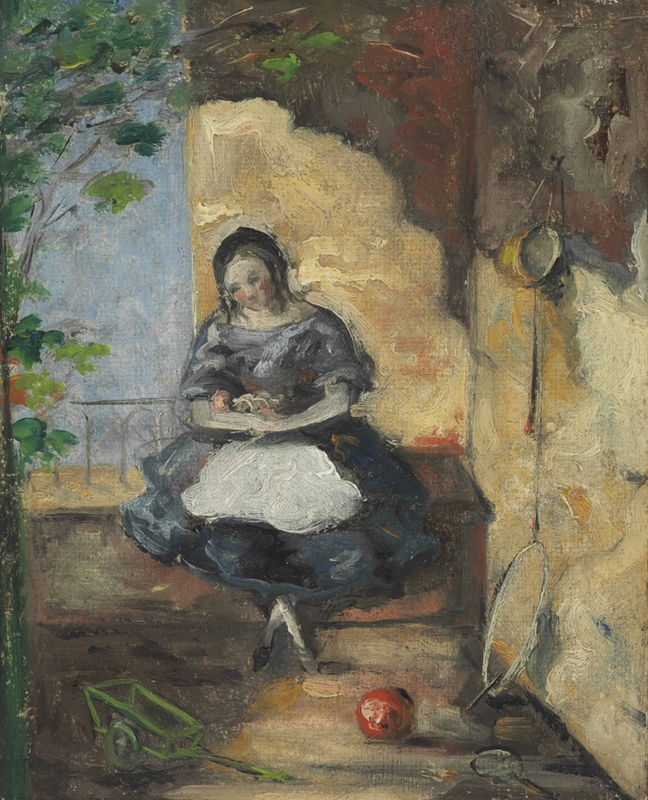 This father, knowing that Bohemians live and die in misery, had taken it upon himself to work for his son, had become a kind of small banker to whom ("because he was honest", as Cézanne said) people brought their money, and Cézanne owed it to his providential care that he had enough later to be able to paint in peace. Perhaps he went to the funeral of this father; his mother he loved too, but when she was buried, he was not there. He was "sur le motif", as he expressed it. Work was already so important to him then and tolerated no exception, not even that which his piety and simplicity must certainly have recommended to him, In Paris he gradually became even better known. But for such progress as he did not make (which others made and into the bargain how-), he had only distrust; too clearly there remained in his memory what a misunderstood picture of his destiny and of his intent Zola (who knew him from youth and was his compatriot) had sketched of him in Oeuvre. Since then, he was closed to writing of all sorts: "travailler sans le souci de personne et devenir fort-", he screamed ed at a visitor. But in the midst of eating he stood up, when this person told about Frenhofer, the painter whom Balzac, with incredible foresight of coming development, invented in his short story of the Chefd'Oeuvre inconnu (about which I once told you), and whom he has go down to destruction over an impossible task, through the discovery that there are actually no contours but rather many vibrating transitions-, learning this, the old man stands up from the table in spite of Madame Bremond, who certainly did not favor such irregularities, and, voiceless with excitement, keeps pointing his finger distinctly toward himself and showing himself, himself, him self, painful as that may have been. It was not Zola who understood what the point was; Balzac had sensed long ahead that, in painting, something so tremendous can suddenly present itself, which no one can handle. But the next day he nevertheless began again with his struggle for mastery; by six o'clock every morning he got up, went through the city to his studio and stayed there until ten; then he came back by the same way to eat, ate and was on his way again, often half an hour beyond his studio, "sur le motif" in a valley before which the mountain of Sainte Victoire with all its thousands of tasks rose up indescribably. There he would sit then for hours, occupied with finding and taking in plans (of which, remarkably enough, he keeps speaking in exactly the same words as Rodin). He often reminds one of Rodin anyway in his expressions. As when he com plains about how much his old city is being destroyed and disfigured. Only that where Rodin's great, self-confident equilibrium leads to an objective statement, fury overcomes this sick, solitary old man. Evenings on the way home he gets angry at some change, arrives in a rage and, when he notices how much the anger is exhausting him, promises himself: I will stay at home; work, nothing but work. From such alterations for the worse in little Aix he then deduces in horror how things must be going elsewhere. 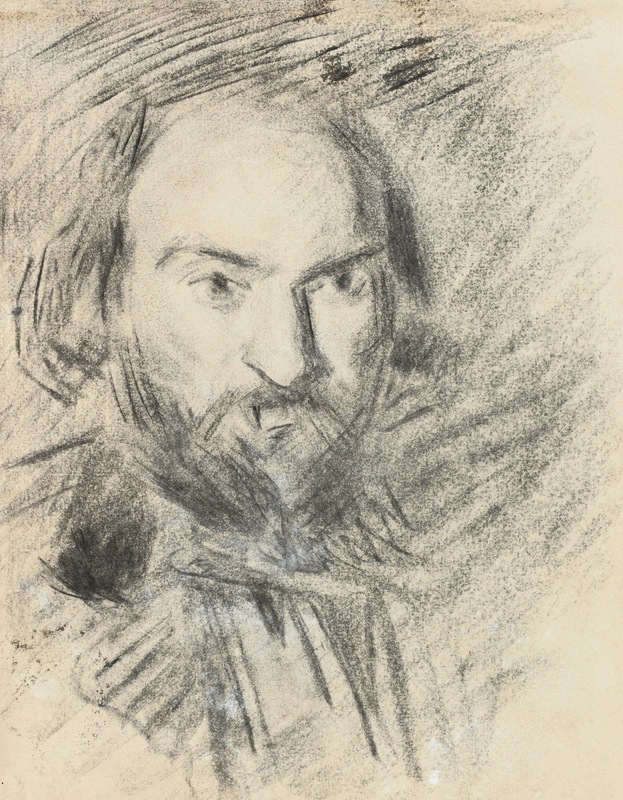 Once when present conditions were under discussion, industry and the like, he broke out "with terrible eyes": "(ça va mal. . . . C'est effrayant, fa vie!" 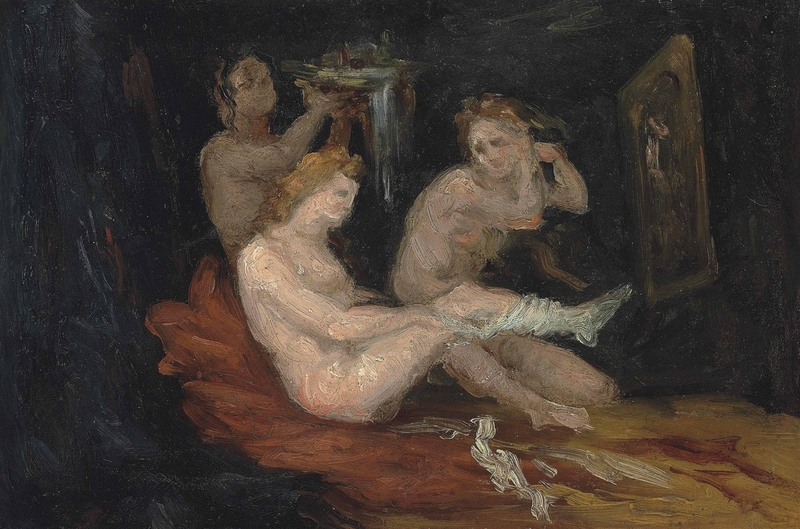 Outside, something vaguely terrifying in process of growth; a little closer, indifference and scorn, and then suddenly this old man in his work, who no longer paints his nudes from anything but old drawings he made forty years ago in Paris, knowing that Aix would allow him no model. "At my age", he said, "I could get at best a fifty-year-old, and I know that not even such a person is to be found in Aix". So he paints from his old drawings. And lays his apples down on bedspreads that Madame Bremond certainly misses one day, and puts his wine bottles among them and whatever he happens to find. And (like van Gogh) makes his "saints" out of things like that; and compels them, compels them to be beautiful, to mean the whole, world and all happiness and all glory, and doesn't know whether he has . brought them to doing that for him. And sits in the garden like an old dog, the dog of this work which calls him again and beats him and lets him go hungry. And yet with it all clings to this incomprehensible master, who only on Sunday lets him return to God, as to his first owner, for awhile. -And outside people are saying: "Cézanne", and gentlemen in Paris are writing his name with emphasis and Droud at being well informed-. I wanted to tell you all this; it is related to so much about us and to ourselves in a hundred places. Outside it is raining copiously, as usual. Farewell ... tomorrow I will speak again of myself. Le straordinarie lettere del poeta Tedesco Rainer Maria Rilke, tutte indirizzate alla moglie scultrice Clara Westhoff e scritte tra giugno ed i primi di ottobre del 1907, mostrano fino a che punto l'occhio di un artista può penetrare l'essenza di un'altra arte. 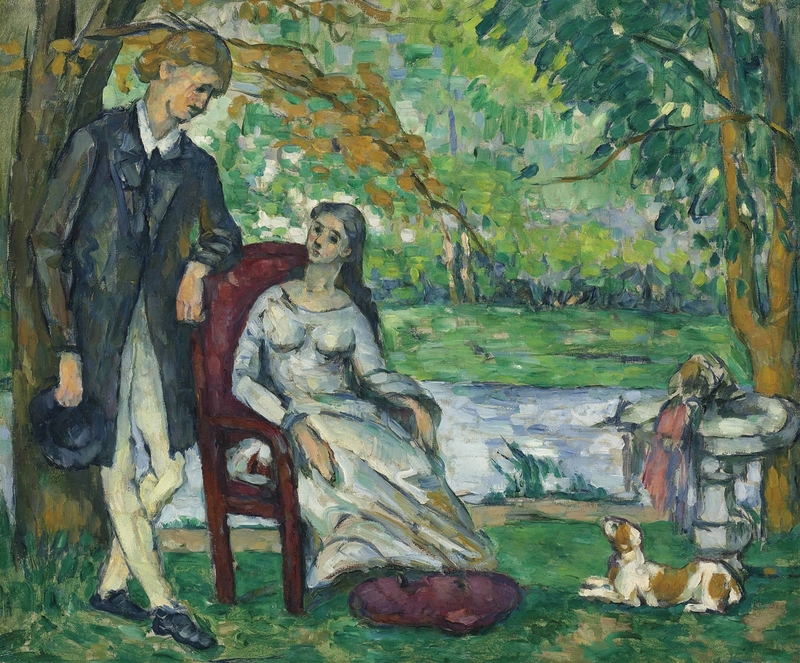 Il più illustre dei moderni poeti Tedeschi, Rainer Maria Rilke (1875-1926), nacque quando Paul Cézanne (1839-1906) dipingeva già quasi da un decennio. L'incontro di Rilke con Cézanne avverrà 30 anni dopo, quando Rilke trentaduenne era diventato un artista conosciuto, con diversi volumi già pubblicati. 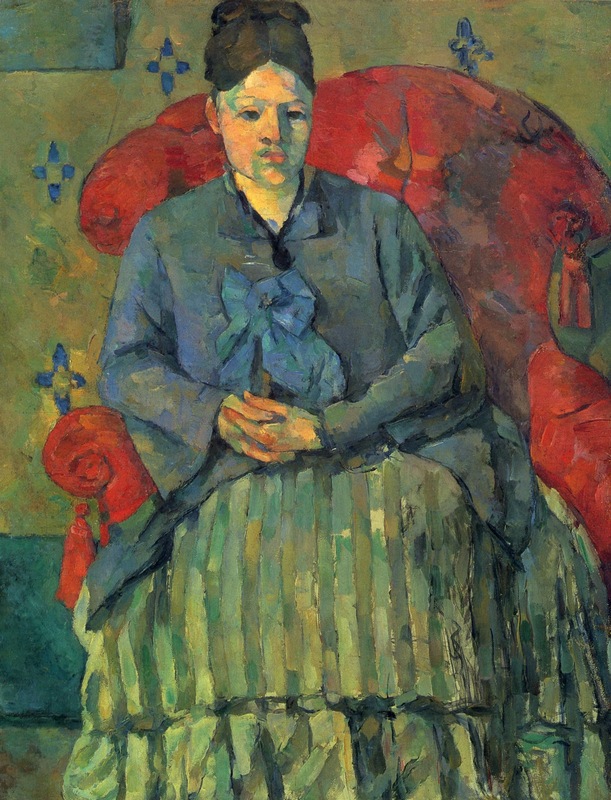 Cézanne era morto da un anno, e Parigi commemorò la grande perdita con una imponente mostra retrospettiva presso il Salon d'Automne di Parigi nel 1907. Il caso volle che il poeta Rainer Maria Rilke, durante il suo soggiorno a Parigi avesse la possibilità di visitare questa importante mostra, la quale si trasformò in una sorta di pellegrinaggio quotidiano per quasi tutta la sua durata. 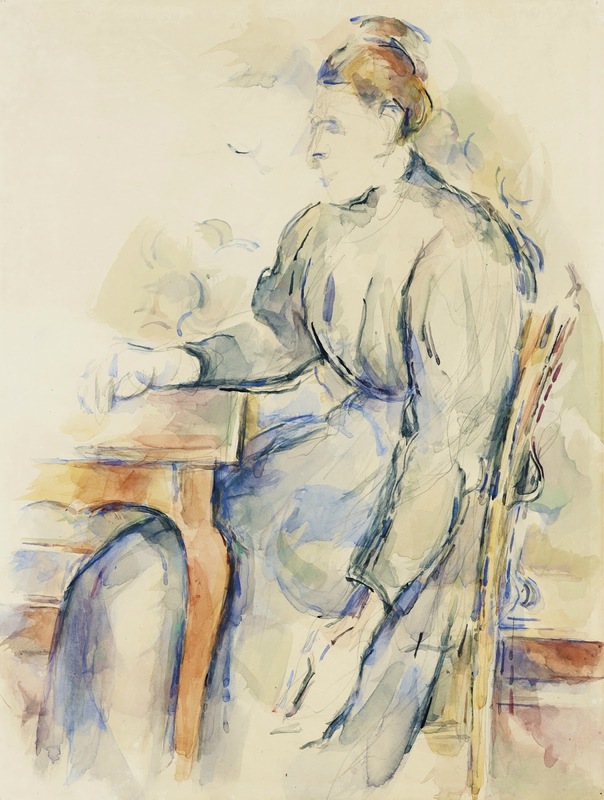 L’arte di Cézanne capovolse la visione di Rilke sull'arte e sulla vita, segnando indelebilmente la sua anima poetica e il mondo deve a quel fortuito incontro la nascita di due indiscutibili capolavori: "Le elegie duinesi" e dei "Sonetti ad Orfeo". Le quotidiane visite al Salon d'Automne furono per Rilke una sorta di iniziazione, una forma di osservazione meditazione dove i confini tra osservatore e oggetto venivano gradualmente a scomparire per dare vita ad una nuova vita. Nella lettera del 9 ottobre, il poeta prova ad immaginare la posizione del pittore di fronte agli oggetti e scrive: "Nel ritrarre paesaggio o natura morta, fermo coscienziosamente davanti all'oggetto, egli lo assumeva soltanto dopo complicatissime circonvoluzioni". Non è un caso che ad aiutarlo nella comprensione di ciò che sta accadendo vi sia stato anche un testo come "Il capolavoro sconosciuto", di Balzac, il quale, secondo Rilke, "aveva intuito come dipingendo si può improvvisamente arrivare di fronte a una grandezza tale, che si può solo soccombere”. 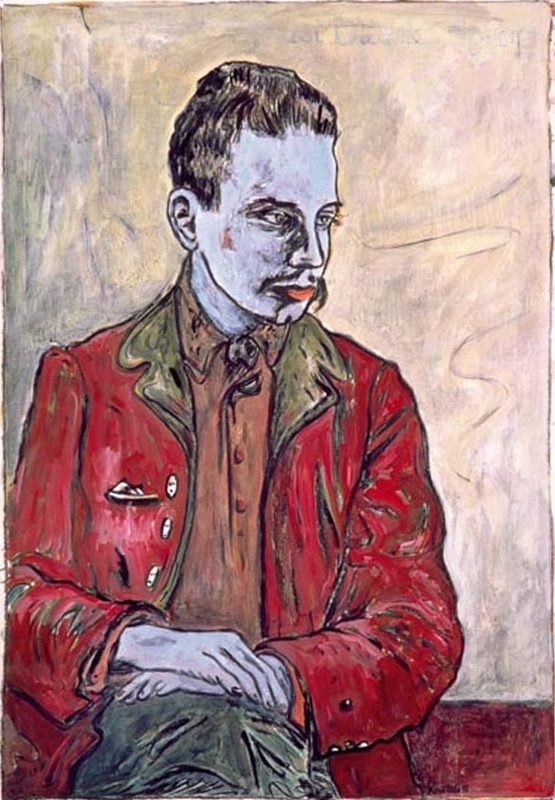 Da quell'ottobre 1907 iniziò per Rilke il percorso della piena maturazione artistica: "Noto già come sono diventato diverso, sono in procinto di diventare un lavoratore, su una lunga strada". Questa straordinaria esperienza documentata dalle lettere a sua moglie Clara, sono una preziosissima testimonianza del processo di osservazione di un artista colto e profondo, una delle migliori menti del ventesimo secolo e sono una imperdibile opportunità per coloro che oltre alla pittura e alla poesia sono interessati all'evoluzione della propria coscienza. 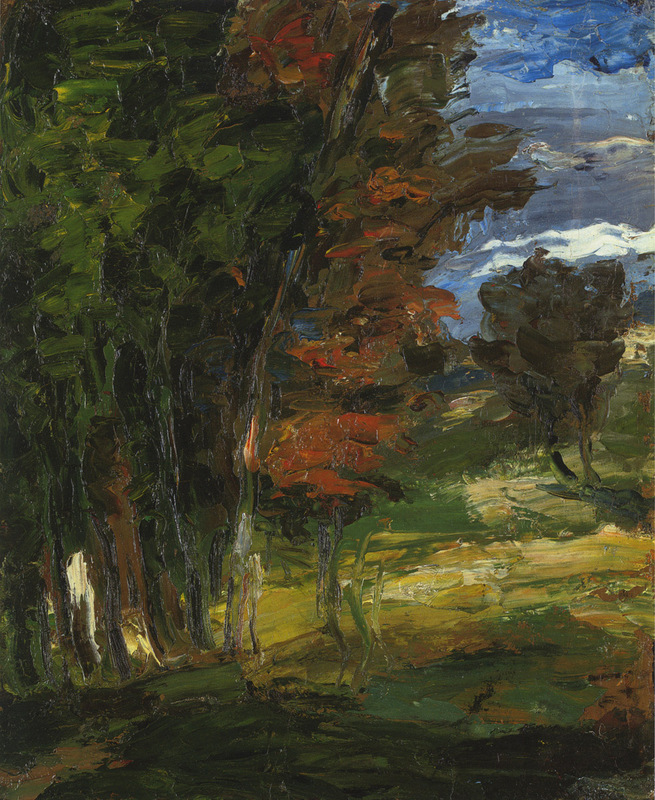 Sono inoltre una importantissima testimonianza, dal momento che ci mostrano come Rilke riuscì a fare con la sua con la poesia quello che Cézanne fece con la pittura. 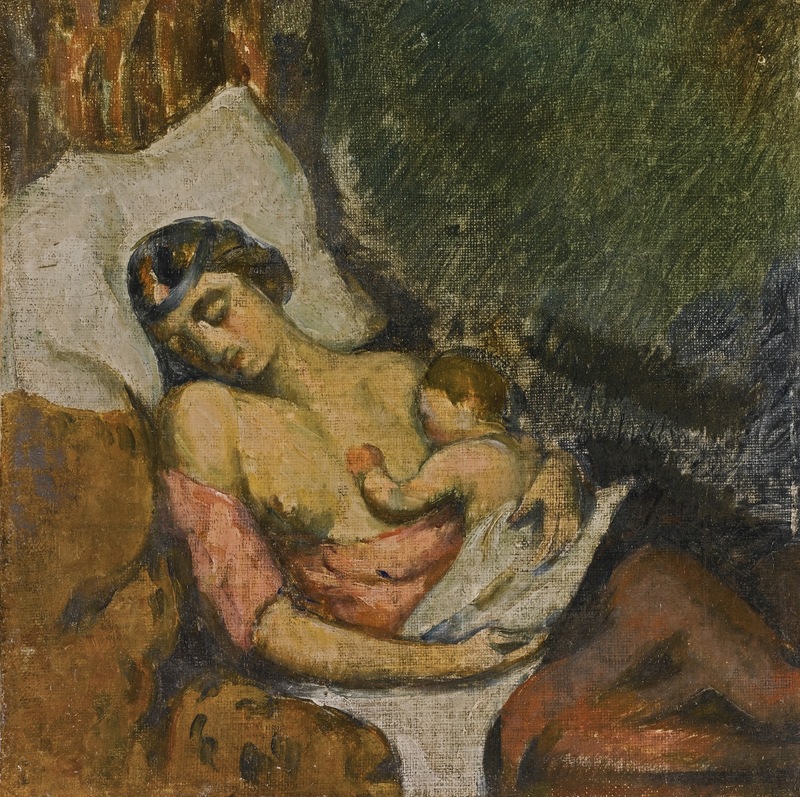 Rilke come Cézanne fu soprattutto interessato ad alimentare una conoscenza interiore, a stabilire una esperienza di intimità a promuovere una osservazione in grado di rinnovarsi di volta in volta. 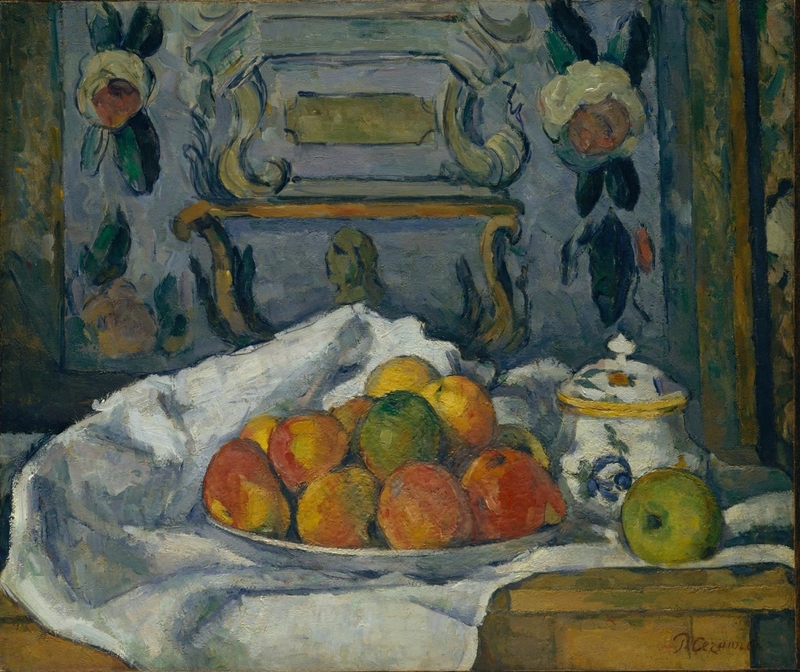 ... Oggi vorrei raccontarti un po’ di Cézanne. Riguardo al lavoro, affermava di avere vissuto da bohème fino ai quarant'anni. Che solo dopo la conoscenza di Pissarro gli venne voglia di lavorare. Ma in tale misura che negli ultimi trent'anni di vita non fece che lavorare. A quanto pare senza gioia, con rabbia continua, in dissidio con ciascuno dei suoi lavori, nessuno dei quali gli sembrava raggiungere quello che lui considerava indispensabile. Chiamava questo la réalisation e lo trovava nei veneziani che aveva visto presto al Louvre e rivisto e visto di nuovo e riconosciuto incondizionatamente. L’elemento probatorio, il «farsi cosa», la realtà pervenuta, grazie alla sua esperienza dell’oggetto, all'indistruttibilità, ecco quello che gli sembrava il compito del suo lavoro più vero; vecchio, malato, ridotto ogni sera al deliquio dal regolare lavoro quotidiano (al punto che spesso, alle sei, sul far della sera, andava a dormire dopo avere consumato distratto la cena), cattivo, diffidente, deriso ogni volta che si recava nel suo studio, schernito, maltrattato - ma celebrava la domenica, ascoltava come da bambino messa e vespro, chiedeva con gentilezza a madame Brémond, la padrona di casa, un pasto un po’ migliore: forse sperando ogni giorno di raggiungere il risultato che considerava essenziale. Con questo aveva gravato il suo lavoro nel modo più caparbio (se si può credere al cronista di questi dati, un pittore non molto simpatico che era andato un po’ con tutti). Nel ritrarre paesaggio o natura morta, fermo coscienziosamente davanti all'oggetto, egli lo assumeva soltanto dopo complicatissime circonvoluzioni. Cominciava con colori scurissimi e copriva la loro profondità con una superficie di tono appena superiore e così via, schiarendo colore su colore, fino ad arrivare a poco a poco a un altro elemento figurativo in contrasto con il primo sul quale egli, partendo da un altro centro, lavorava allo stesso modo. Penso che i due procedimenti - quello dell’assunzione visiva e sicura, e quello dell’appropriazione, dell’uso personale di quanto assunto - contrastassero dentro di lui, forse in seguito a una presa di coscienza, che cominciassero a parlare per così dire nello stesso tempo, si togliessero di continuo la parola, si scindessero senza tregua. E il Vecchio sopportava la loro discordia, camminava avanti e indietro per lo studio che aveva la luce sbagliata perché il costruttore non riteneva necessario prestare ascolto al vecchio originale che ad Aix si era d’accordo nel non prendere sul serio. Camminava avanti e indietro nel suo studio dalle mele sparse qua e là o andava a sedere disperato nel giardino, e rimaneva seduto. Davanti a lui era la piccola città di nulla presaga, con la sua cattedrale; la città per cittadini dabbene, senza pretese, mentre lui, come suo padre, che era cappellaio, aveva previsto, era diventato diverso; un bohème, come il padre lo vedeva e come lui stesso credeva. 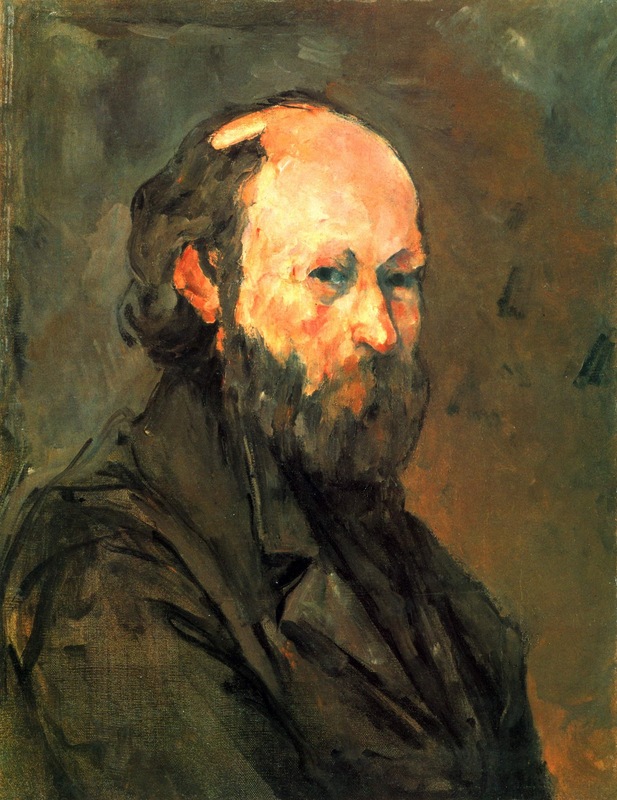 Questo padre, sapendo che i bohèmes sono poveri diavoli e che muoiono, si era prefisso di lavorare per il figlio, era diventato una specie di piccolo banchiere cui la gente ("perché era per bene", diceva Cézanne) portava il suo denaro, e Cézanne dovette alla sua previdenza se in seguito ebbe abbastanza per potere dipingere in pace. Forse andò al funerale del padre; voleva bene anche alla madre - ma non fu presente alla sua sepoltura. Si trovava «sur le motif», come lo chiamava. A quel tempo il lavoro era già così importante per lui, non tollerava deroghe, neppure quella che la sua pietà e la sua semplicità dovevano avergli di sicuro raccomandato. Divenne noto a Parigi, a poco a poco lo divenne di più. Ma nei confronti di avanzamenti che non faceva lui (che facevano gli altri e per giunta come...) aveva soltanto diffidenza; troppo presente aveva nella memoria l’immagine infedele del suo destino e della sua arte che Zola (si conoscevano da giovani ed erano conterranei) aveva disegnato in L’Oeuvre. Da allora si chiuse ad ogni tentativo letterario: "Travailler sans le souci de personne et devenir fort", gridò al suo visitatore. Ma a tavola una volta si alzò mentre Zola raccontava di Frenhofer, il pittore che Balzac inventò per la sua novella Le Chef d’Oeuvre Inconnu (della quale ti parlerò), con una preveggenza incredibile di svolgimenti futuri, facendolo naufragare in un compito impossibile, dopo la scoperta che non esiste un contorno ma soltanto sfumature oscillanti: nel sentire questo il Vecchio si alza da tavola senza tenere conto di madame Brémond, che non vedeva di buon occhio simili sregolatezze, e senza voce per l’eccitazione addita più volte con chiarezza se stesso e mostra sé, sé, sé, per doloroso che questo possa essere. Neppure Zola aveva capito di che si trattava: Balzac aveva intuito come dipingendo si può improvvisamente arrivare di fronte a una grandezza tale, che si può solo soccombere. Ma il giorno dopo già ricominciava con il suo sforzo; alle sei era in piedi, attraversava la città per recarsi allo studio, dove rimaneva fino alle dieci; rifaceva la stessa strada per mangiare, mangiava ed era di nuovo via, spesso ancora una mezz’ora oltre lo studio, "sur le motif", in una valle davanti alla quale si alzava indescrivibile il monte di Sainte-Victoire, con tutte le sue migliaia di compiti. Sedeva là per ore, occupato a trovare e ad assumere in sé i "plans" (dei quali parla sempre, fatto singolarissimo, con le stesse parole di Rodin). Con i suoi detti, in genere, ricorda spesso Rodin. Allorché si lamenta, ad esempio, di quanto la sua vecchia città sia ogni giorno distrutta e sfigurata. Solo che mentre il grande, consapevole equilibrio di Rodin porta a una constatazione oggettiva, il vecchio solitario, malato, è travolto dall'ira. Nel tornare a casa, la sera, monta in collera per qualche cambiamento e quando si accorge di come la rabbia lo esaurisce, alla fine si promette: rimarrò a casa; lavorare, soltanto lavorare. È questo che volevo raccontarti; tanto ha rapporto in molti punti con cose intorno a noi e con noi. Fuori piove a dirotto, ora come prima.